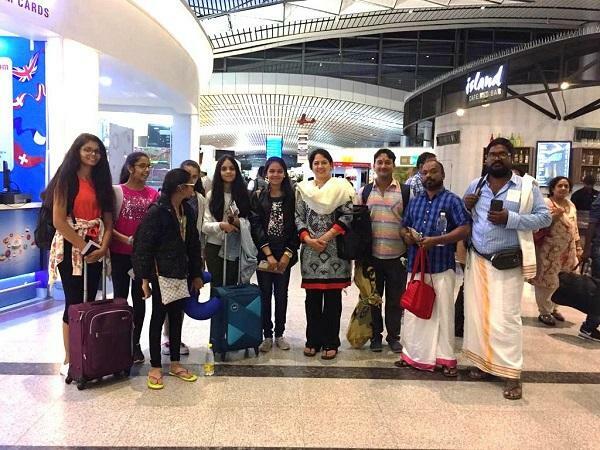 A historic moment for Australia – Bhagwan Sri Rama along with Sita Devi, Lakshmana and Anjaneya Swamy from Bhadrachalam Temple, have left from Bharat and are arriving today evening in Sydney. There will be a warm welcome by our local priests and Andal group with Purna Kumbam at the host’s residence. On this festive occasion, we have two big events planned to mark the 20th anniversary of HCA Deepavali celebration. ABC Bullion in partnership with HCA has minted a special limited edition Sri Rama Parivar coins in Silver and Gold. 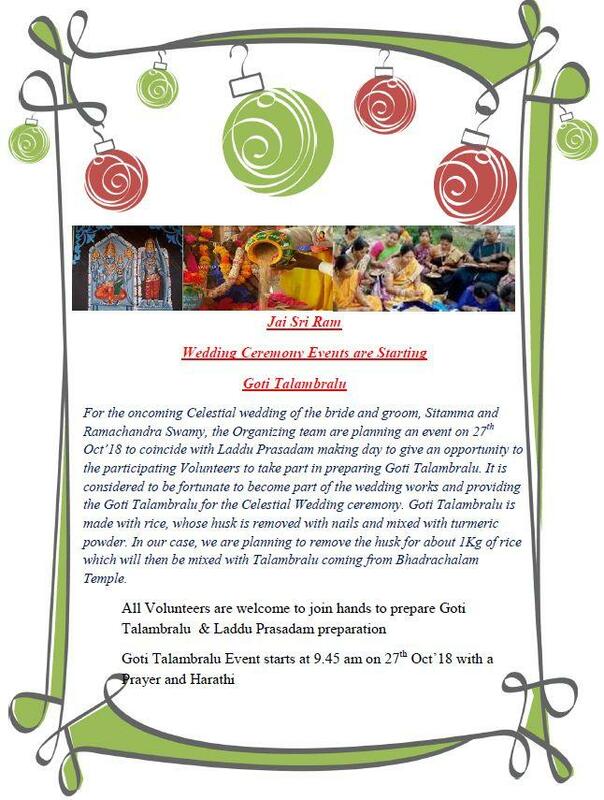 On Saturday the 3rd November 2018 Sri Sita Rama Kalyana Mahotsavam (celestial wedding) of Lord Sri Rama and Goddess Sita from Bhadrachalam will take place in Parramatta Park, there will be a palki procession for Sri Rama and Sita Devi from Parramatta Townhall, alongside Parramatta river (Phillip street), wedding will be performed by priests from Bhadrachalam. I will stop here and let you all come and enjoy the full schedule of the day. Look at the coincidence – Bhadrachalam temple is on the ghats of Godavari river and we are performing the wedding on the ghats of Parramatta River. We are blessed to see this occasion on Vilambi-Samvatsara (Lord Sri Rama’s incarnation year). Traditional dances from various states of India (kollatam) will be performed along the way to the wedding mandap. On Sudnay 4th November 2018 Coronation of Sri Rama, Pattabhishekam (Coronation) is generally performed the day following Sri Rama Navami (Celestial wedding). This is also known as Sri Rama Samrajya Pattabhisheka Mahotsavam starting with a procession from the Queen’s road entrance into the parramatta park. There is be Maha aarathi on both days and an evening palki procession to burn the effigy of 40 Feet Ravana followed by fireworks. Loads of traditional and cultural performances, rides for children, competitions such as rangoli, ethnic wear, various stalls to list a few, it’s a fully packed day weekend celebrations to Deepavali. These events are part of the Deepavali celebrations, don’t miss this once in a lifetime opportunity along with your family and your friends, praise, pray, sing and dance in the name of Sri Sita Rama and get filled with joy and happiness. Spread the word around the town and be part of this historic event.